Happy Holidays from QCautoplex.com and QCJeeps.com! We know finding the right Christmas present for a Jeep lover can be difficult, so here’s a handy list with some of our top choices for 2018! You’ll see items listed below from our friends at Sport Truck Specialties. We buy all of our accessories from them and recommend them for any installation needs you may have, they’re simply the best around! So without further ado, here’s some of our top gifts for 2018! 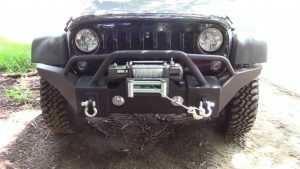 Winches are a great addition to any Wrangler, and Sport Truck Specialties have many different options to choose from, and professional installation. 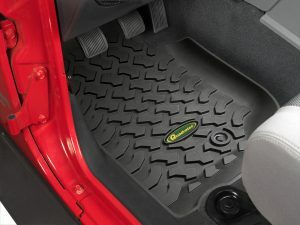 Floor liners for a Jeep Wrangler can (and should be!) used year round to help protect the interior of your favorite vehicle. Whether snow, rain, mud, sand etc, these will help protect your investment. So if your Jeep lover still doesn’t have them, these are a must buy Christmas present. Last but certainly not least on our list is custom lighting. With so many options available, you can really customize your Jeep Wrangler however you’d like. If that Jeep lover in your life doesn’t have a custom light setup, surprise them with a unique addition for their Jeep! Looking to buy any of these items, or have some of your own ideas? Head to sporttruckinc.com for 1000’s of new ideas for that Jeep lover in your life, or a little Christmas cheer for yourself! Thank you to all who helped make 2018 a great year at QCAutoplex.com and QCJeeps.com! We look forward to a great 2019, and wish you all a Merry Christmas and a Happy New Year!